Here is my most recent website creations and graphic designs. My ultimate goal for each project is to make sure every design stands out with a unique style, has a precise function and has a clear purpose. Simon from Bude Dive Club approached me to take over their current website. Upon some initial research, I found the system to be out of date and prone to security vulnerabilities. The developers of the current system had not released any software patches and thus it was immediately decided that a new website was required. 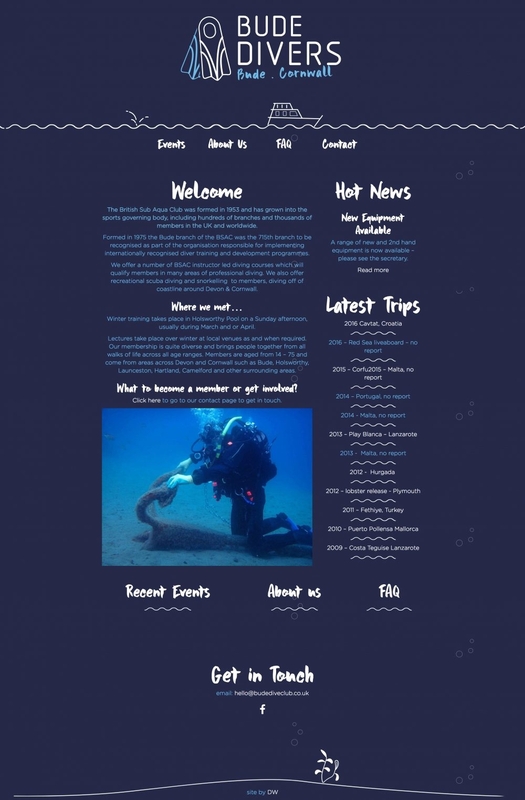 The new budediveclub.co.uk website has been re-designed and built to improve the aesthetic and user experience. The responsive design provides flexible and fluid page layouts which adapt to a variety of device screen sizes whether on laptop, mobile or tablet. Due to the lack of high quality pictures, the website has been designed to utilise simple but effective illustration icons, enhancing visual appeal and reflecting the beauty of diving. 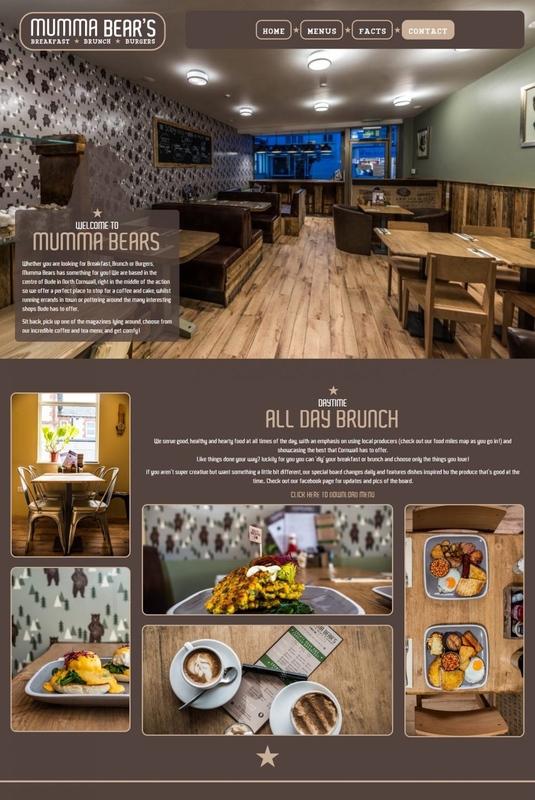 Mumma Bears is a restaurant based in the centre of Bude offering Breakfast, Brunch or Burgers. However, what makes this restaurant different is the approach to how customers place their orders. In that customers need to place a tick beside each option on the menu allowing the customer to build their burger or breakfast. After being given a bank of great photography to use by Brownhill Photography, I decided that seeing their work was much more important than reading about it. As a result this became the focus of the website. However, instead of just inserting pictures into a website, I decided to give each image a curve to match the branding of the logo which was also curved. This also gave each image some depth making it easier to distinguish between each of the images. And lastly, I had to make sure the site was responsive – in that it could resize its image elements depending on the size of the screen the user visits the site on, without losing the clean/curvy image design. If you are looking for a Bude Website Designer, then free feel to contact me using my contact page to discuss your requirements. 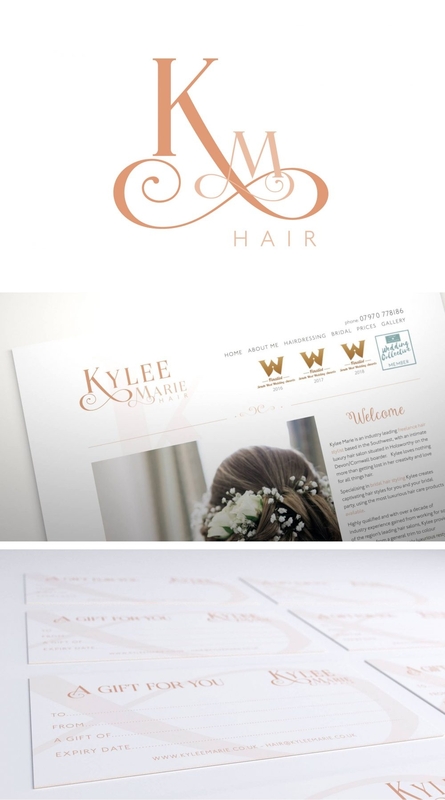 Kylee Marie is an freelance hair stylist operating throughout Cornwall, with an luxury hair salon situated in Holsworthy, Devon. Kylee is an award winning hair stylist, who hasn’t quite achieved that big gold status. The judges results mentioned that Kylee needed to work on her identify and website which is why Kylee approached me to re-brand her company as well as developing a new website. Kylee wanted something that would be informative, clear and easy on the eye. All of her previous websites consisted of templates and plugins which make it very difficult to achieve a certain look or define how the site works, affecting Kylee’s chances of receiving that elusive gold in her awards. The result of my work is a bespoke website that will help her attract new customers as well as helping her to achieve that national award. If there was something that wasn’t possible with Kylee’s previous websites, I was able to design and develop the one, exactly to Kylee’s requirements. One of those requirements was to perfect the little details, such as how you divide the sections of the site – for example the content from the header and footer. Most people usually just have different backgrounds to give it some contrast. However, I decided to produce some little graphics in the same style as the branding/logo to reinforce the brands identify by designing some flourishes. All of my existing clients – new or old, know that if they run into any problems, they can simply give me a call and I will look into the problem free of charge. If your looking for a Cornwall Website Designer, then feel free to contact me on my contact page to discuss your requirements – big or small. Fantastic company! Dean certainly knows his stuff. He has designed some great work for me. He manages all my tech stuff and delivers a prompt and professional service every time. Having just recently developed a new website for Shades of Bude (their sister company). 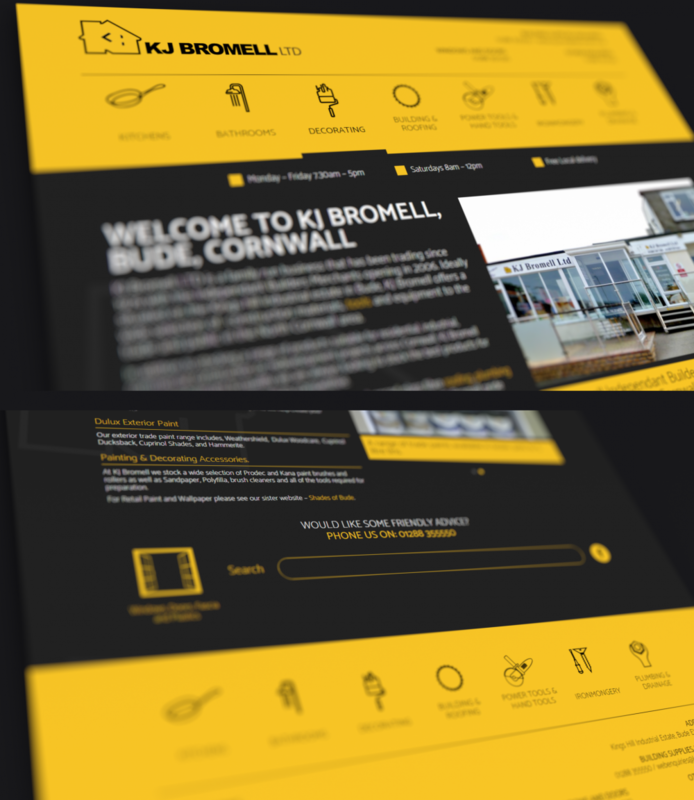 KJ Bromell, an Independant Builders Merchants in North Cornwall, wanted to refresh their website as well, so I did just that. The result is a great new responsive site combined with custom icons for each of the pages which makes the website really easy to navigate. Thus allowing the website to be used by any age from young adults to elderly people. If you’re looking for a web designer in Bude, then call me to discuss your requirements via the contact page. 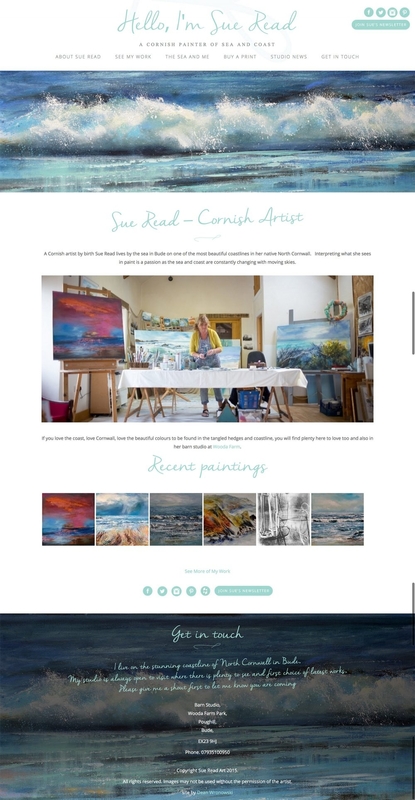 Sue Read is an artist and painter of the sea and coast in Cornwall, UK. Inspired by moving skies and the various moods of the sea, Sue loves to paint the natural surroundings of Cornwall. Sue Read approached me to revamp her current website hosted with www.wordpress.com. Upon looking at the current website, I recommended importing all of the posts, comments and pages into the new website. In doing so, this would allow her Google ranking from the current website to be transferred onto the new website; thus maintaining her Google ranking as well as having her paintings and posts safely transferred. From the start, Sue had an excellent vision for the style of the website which was to express that she was a very approachable and friendly painter in Cornwall. Due to her bubbly and honest personality, I decided to undertake some research into a typography that would express this. I went through various fonts until I came across a font that really stood out to me. Sue, agreed and the font was purchased. Turns out that all the typography research has paid off as people love the style of the website, which is no great surprise as it looks soo good. Check it out. 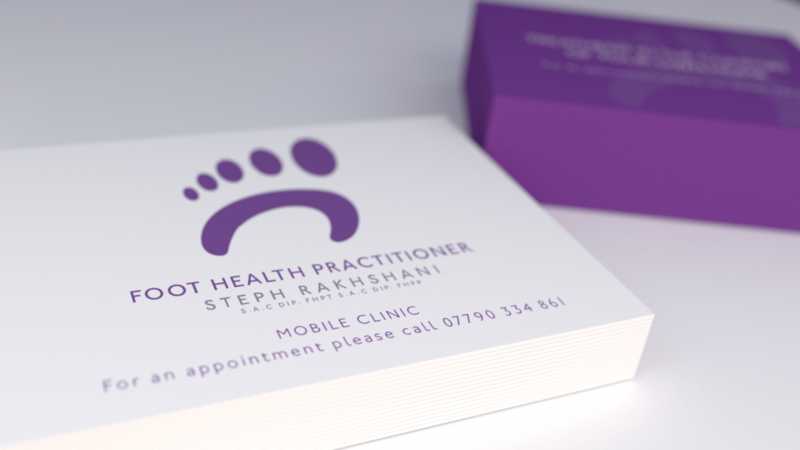 Here is a recent branding project that I undertook for Steph giving her an online presence on social media and identify for her new business adventure offering services on: nail trimming, cracked heels, thickened toe nails, ingrowing toe nails, fungal infections, diabetic foot care & advice. Steph will be offering her services in and around the following areas Bude, Stratton, Marhamchurch, Kilkhampton, Morwenstow, Hartland, Woolsery, Bradworthy and Holsworthy. For your branding/logo design needs in Cornwall, get in touch via the contact page to discuss your logo/branding requirements. I contacted Dean about designing me a logo for my new business. He then created me a business card, leaflet and advert to go in my local parish news. I gave Dean a rough idea of what I wanted and he went above and beyond my expectations and created me a modern logo which is simple yet effective. I am very impressed with Dean's creations and would definitely recommend him. 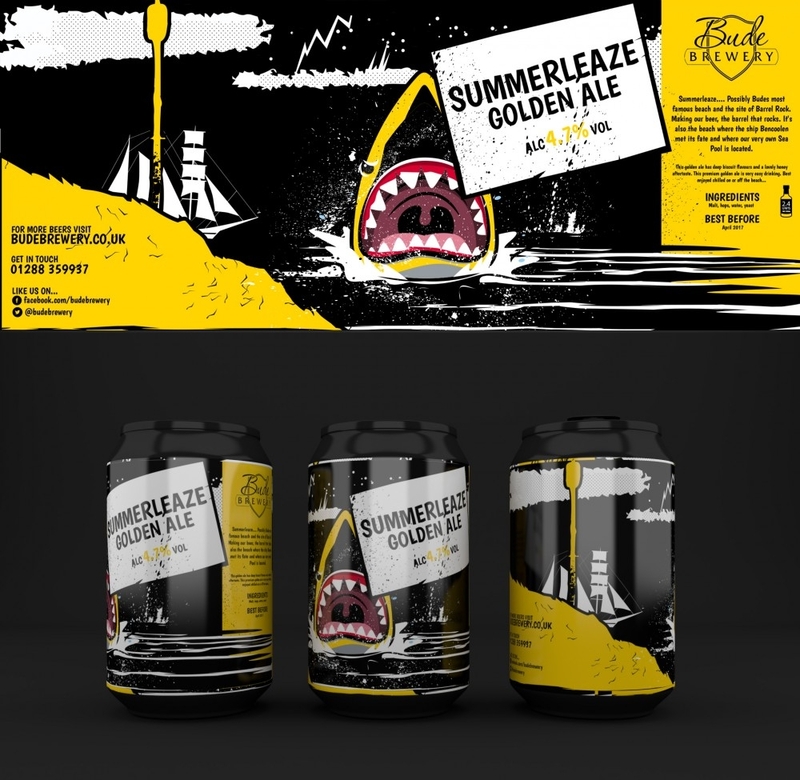 I was approached by Bude Brewery to look at Summerleaze’s and Bude Sea Pool’s beer range as part of their overall branding. Although each product range had a slightly different audience and therefore a different feel they still needed to fit into Bude Brewery’s identity. After speaking with Bude Brewery to start the ball rolling with design ideas, it was clear that after designing the Porthbud range, a unique creature for both Summerleaze and Bude Sea Pool needed to be the featured point of the designs. We both decided on using a Shark for Summerleaze and a turtle for the Sea Pool. Whilst the ideas were great, I also had to make sure the Bude Brewery’s identity was still included across both ranges. This was achieved by including Barrel Rock within in the background and/or foreground for both ranges. Bude Brewery were delighted with the designs and couldn’t wait to start showing it off to their current and prospective clients. 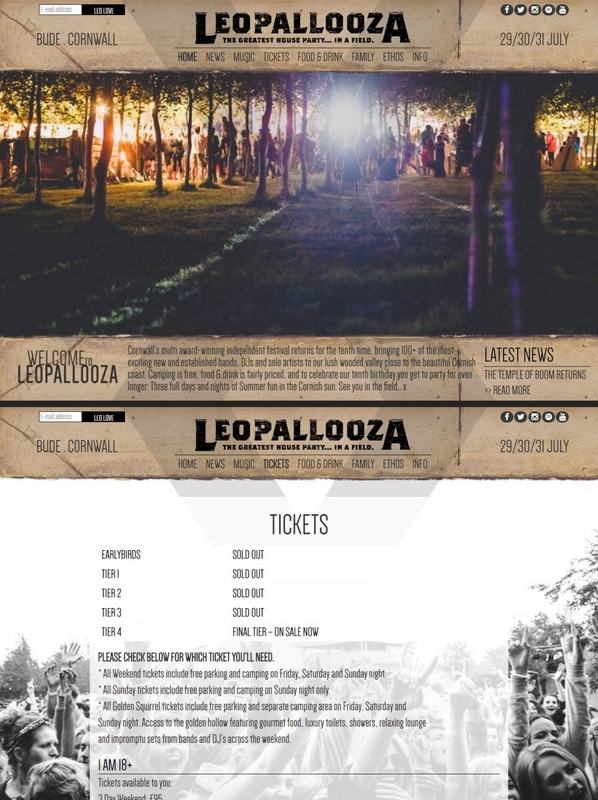 Cornwall’s multi award-winning independent festival returns for the tenth time and with it the creation of a brand spanking new festival website – www.leopallooza.com. The requirements were that the site had to be manageable, using a WordPress CMS. The Website had to be responsive on all devices irrespective of how interactive the site becomes or the number of textures it uses. During the various meetings, it was decided that a wild west theme was to be used for the website design. This meant mixing various textures together to achieve a wild west feel, with crumbled pieces around the corners to give it that rough look. The logo also needed changing to reflect the new site design, with emphasis placed on rough and jagged edges with bits cut off. This website in particular was a personal favourite, as creating a very unique look and feel to the website in a wild west theme gets me extra excited! SOOOO much fun!! Based in Bude, NineDesign is a premium quality joinery company with an excellent reputation throughout Cornwall. As a WordPress Developer in Cornwall, I built a bespoke website exactly to their design requirements. All suggested functionalities and design changes were also implemented exactly to their requirements. 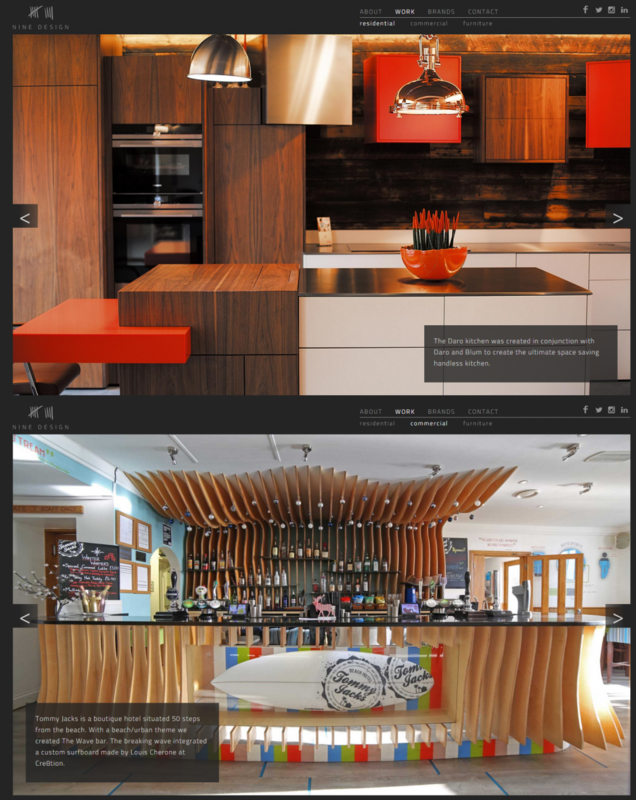 The end result is a WordPress website that is responsive whilst also showing high resolution photographs showcasing the bespoke interior kitchen designs built by NineDesign. For all your website design cornwall needs, contact me. Drop me a line to start discussing. Mark from the Bude Tourist Information Centre in Cornwall, approached me to create a sign design, promoting the newly refurbished huts running alongside Summerleaze and Crooklets Beaches. The requirements for the design were that it had to include various texts’ informing people of how they can rent and book the beach huts. The sign also needed a graphic to grab people’s attention. 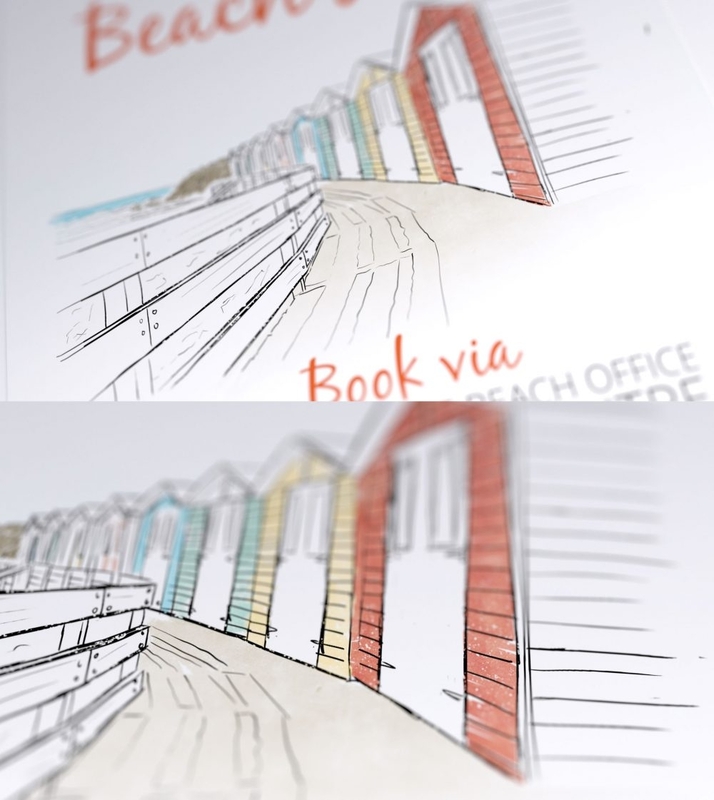 The finished design included a sketch of the beach huts along Summerleaze Beach, finished in a pastel effect. The colours used in the sign reflect those of the actual huts. Working with Dean has been an integral part of the re-design, branding and continuous marketing of Bude and developments to the VisitBude website. He is consistently able to take our brief and work his magic in creating a strong, impactful result that has seen positive feedback from locals and visitors to the area. We continue to work with Dean on numerous projects and value his input when required. Mark - Director, Bude Area Tourist Board Ltd.
Dean is very helpful and easy to approach,he is very good at what he does andI would recommend him to any business or individual.if you need anyone to design your website Dean is your man.